Kids can be creatures of habit. Much like how they can watch the same movie over and over, some kids will stick to one author or genre of book that they’ve fallen in love with. But does it matter if they're always reading the same type of book? After all, isn't their love of reading in itself enough -- reading builds their imagination, develops their critical thinking skills, and improves their communication skills, amongst many other benefits. 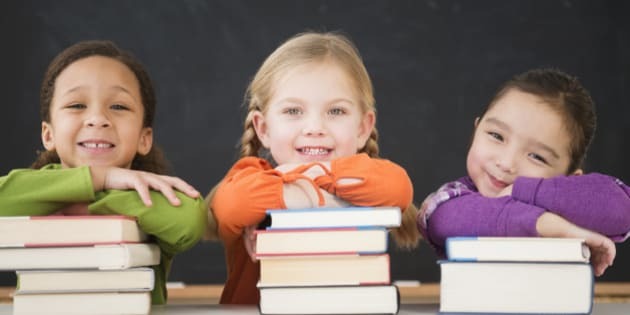 Well, while a love of reading of any sort is to be nurtured, when a child only reads the same author or type of book, their growth and the benefits they gain may not be as broad if they were to explore more types of books. Coaxing them to open up to reading other genres can be a big advantage for them in the long term. They will get exposed to different types of characters and lifestyles when they read a wider range of writing. For example, their favourite fantasy novels may spark their imagination, but true tales of life halfway around the world can trigger interest in traveling and foster understanding of other cultures. It helps them develop a broad perspective on the world around them. Their vocabulary will benefit, too, if they read a wide selection of books. Think of the words and the sentence structure used in a vampire book and how they will differ significantly from those in a suspense novel. They will have to sound out words, and it’ll be helpful to have a dictionary handy. With each new word encountered in the broad range of reading materials they’re consuming, their vocabulary grows. Reading a variety of books will also help your child grow their love of reading and it'll fuel their motivation to read more and more. Where they once only adored one author, who has a limited number of books written, discovering new authors or types of books expands their choice of reading material; they'll never run out of books to add to their reading list! Consider, too, the value of specific types of books for very young readers. Ones that teach the alphabet help them learn that letters come together to form the words in books. Poetry with rhyming words will help develop a child's phonemic awareness (which is the ability to hear, identify and manipulate individual sounds in spoken words). Folktales and nursery rhymes are beloved and cherished (surely there are ones that bring you right back to your childhood!) and they tend to be shared from one generation to the next -- your child's favourite will likely be ones they teach their children when they grow up and have kids of their own! Reading also conjures up different emotions and ways of expression, and the more variety in reading material, the greater range and depth of your child's social and emotional development.